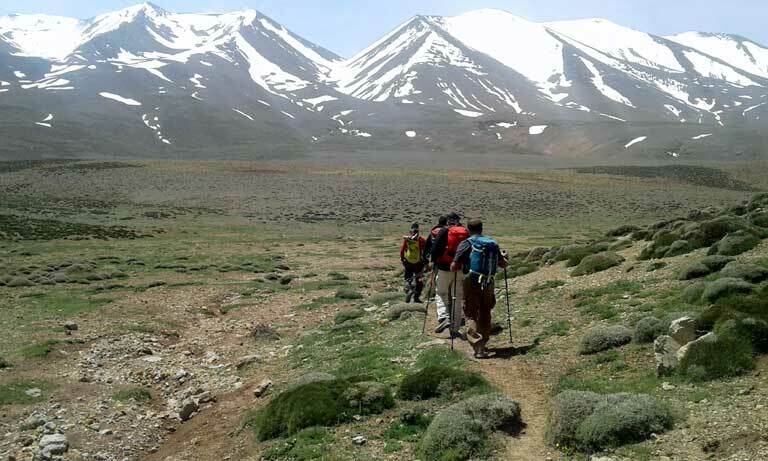 The Central High Atlas, dominated by the Mgoun Massif, offers excellent scope for trekkers, arguably more so than the Toubkal as it is relatively unexploited as of yet. Mgoun Massif is more remote; the rock is sedimentary and forms dramatic ridges and mountains. Erosion has carved some tremendous gorges, with deep-red and orange walls. Some can be walked or waded through (they’re sometimes waist deep in water), while others should not be attempted without much climbing or canyoning skills. These gorges are a highlight of the area. Along demanding 6-day Mgoun trek in a more remote and romantic corner of the high atlas. Climbing up steep ridges and descending to lush valley floors, the scenery ranges from snowy peaks to desert gorges, with the final two days a more leisurely walk through a series of Berber villages. Numerous guest houses along the way ease the hard day’s trekking. Camping options will also enable you to break up the trek.